Srinivasa Rao is the Director, National Institute of Banking Studies and Corporate Management (NIBSCOM) at Noida. Prior to this, he was Associate Professor (Strategic Management) at the National Institute of Bank Management, Pune as an industry expert. He is a career banker with over three decades of leadership roles in banking operations in India and abroad. He was secretary to the Board of Bank of Baroda and last held the position of General Manager – Strategic Management at the bank’s corporate office. He was part of several internal committees of IIBF/IBA. His areas of interest particularly include corporate governance, risk management, risk-based supervision, and strategic management in banking sector. 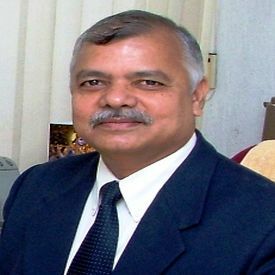 His academic accomplishments include Ph.D. in Commerce from Banaras Hindu University, Varanasi, MBA (Finance), and LLB. He teaches and is a regular speaker at national and international academic institutes. He takes keen interest in banking and finance, and writes in journals, magazines, and financial dailies. He is on the board of studies at Institute of Public Enterprises, Hyderabad and Maharashtra Institute of Technology, Pune.